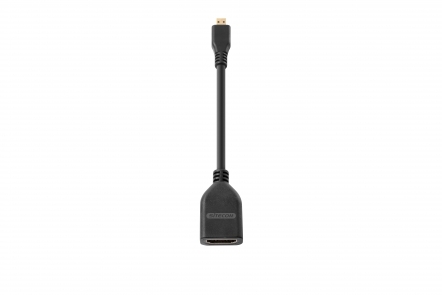 The CN-356 Micro-HDMI to HDMI Adapter from Sitecom lets you connect your Micro-HDMI devices like notebooks, tablets and smartphones to a TV, monitor or projector that uses HDMI. The adapter lets you watch video content from your notebooks, tablets and smartphone HD TV or home projector and enjoy a first class home-cinema experience. Since the adapter can transmit both the video and audio signal, no additional audio cable or speaker setup is needed. The Micro-HDMI to HDMI Adapter supports a Full HD resolution of 1920 x 1200 pixels and provides a crystal-clear viewing experience on every screen.